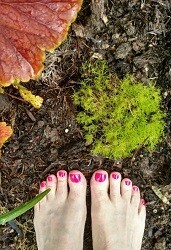 Most people in Portland had not heard of foot reflexology when I opened Portland Reflexology in 2008. Even now, some call it foot massage. But massage works on muscles all over the body and reflexology deals with unique touch techniques exclusively on nerve endings in the foot, hands and ears. Another difference is that clients stay fully dressed and do not turn over in the middle of a session. In 2013, I was trained to do ear and hand reflexology as well as foot reflexology in one session. This profoundly increased the relaxation my clients said they felt. This method of reflexology is called Integrative Reflexology taught by master teacher and owner of the American Academy of Reflexology in Los Angeles, Bill Flocco. The beauty of hand reflexology is you can do it yourself! Hands are also a complete map of our bodies, like feet (see charts). By working our hands, we can help our muscular, circulatory and lymphatic systems as well as everything inside our head, neck, chest, and abdomen. Of course it feels great when I do hand reflexology on you, but I also will show you how to do your own hands to sooth your system. The map for ear reflexology was developed in 1957 by a French physician, Dr. Paul Nogier. There are over 400 reflexology points on the ears and many are shared by reflexologists and acupuncturists. In every session, I use the ear reflexology points that create well-being and relax the shoulders and the lower back. However, when clients come to me with specifics like allergy issues and insomnia, etc., I also activate their issue of concern by touching the outer ear and often show them were they can hold their own ears for relief. 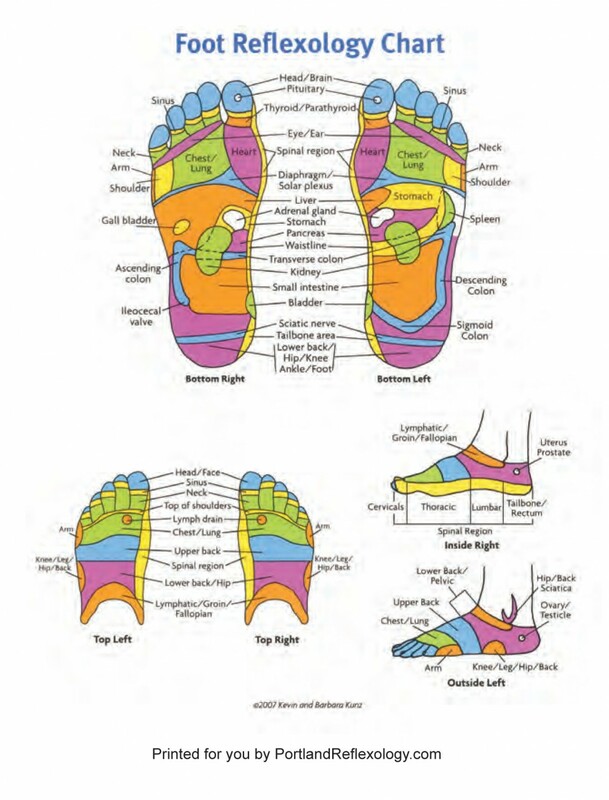 Curious what foot reflexology is about? It’s a privilege to share with you what I know and give you an authentic experience of hand, ear and foot reflexology. Call me today and let’s set up an appointment so you can feel the deep relaxation and relief an hour provides. Many of our health problems can be linked to stress. Stress can be mental, emotional, physical or environmental. Reflexology is primary a stress-reduction technique. It can negate the effects of stress while it helps the body relax and balance. Relaxation is the first step in the healing process.